Orange Cove Railway Class Bike Path – Yamabe & Horn Engineering, Inc. Working as the City Engineer, Yamabe & Horn secured Congestion Mitigation and Air Quality grant funding to create a 10’ wide asphalt bike path over an abandoned railway. The City Council had identified the opportunity to reclaim the railway, creating a high value amenity for the city residents to use year round. 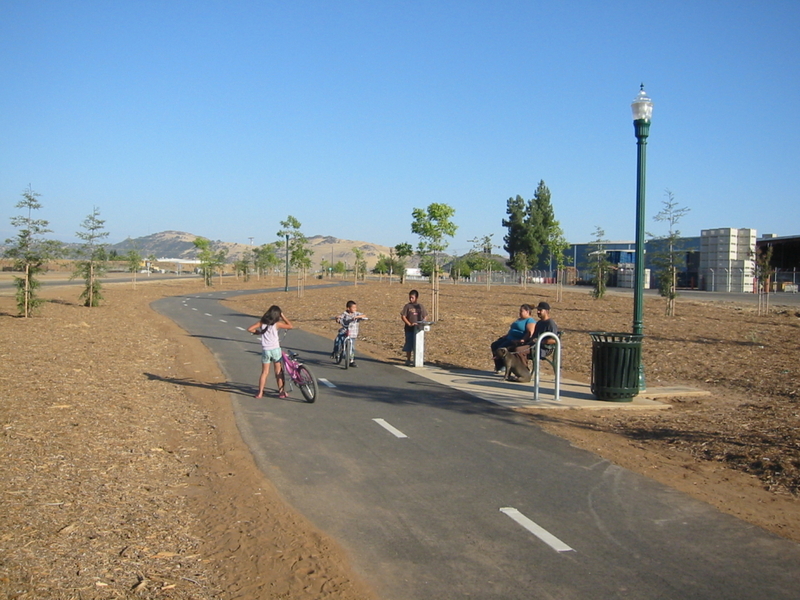 After securing the funding from the Fresno Council of Governments, Yamabe & Horn began the inspection and design for the project, with the goal of utilizing as much of the existing natural landscaping as possible. During the project, they had to negotiate with the railroad to transfer the Right of Way back to the City. There was a natural stream crossing the path, so Yamabe & Horn utilized the railway trestle that crossed the stream, keeping the natural beauty in place while minimizing the cost of building a new bridge. The bike path is ten feet wide and stretches for one and-a-quarter miles and includes additional tree landscaping that was part of the design. There is also decorative street lighting to provide safety after daylight has passed. Since the path completion in 2012, the city residents use it daily and it has become a great source of safe cycling, running, and walking for everyone.